At Tuscan Gardens®, family is at the heart of everything we do. We understand that to many of our residents, their pets are family too, and they couldn’t imagine living without them. Here, they don’t have to! 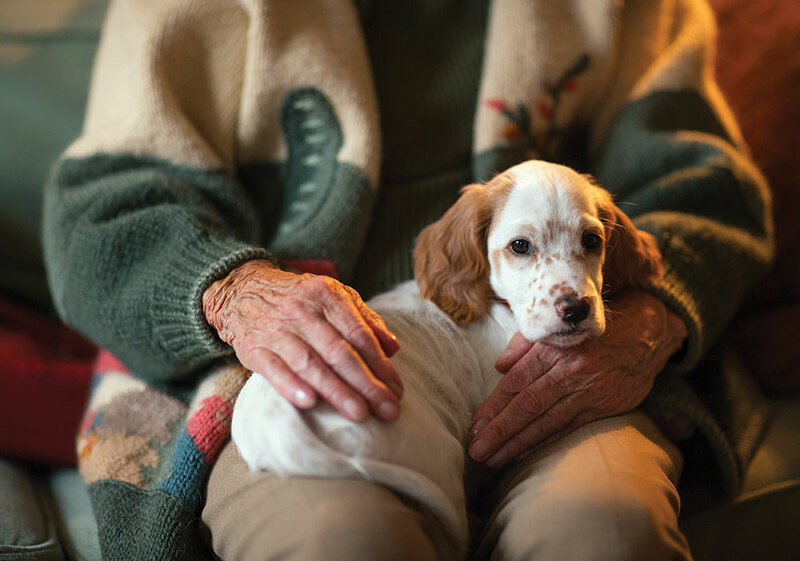 Pets for seniors add greatly to our residents’ quality of life and we’re happy to offer pet-friendly suites that welcome the furry or feathered family members! Residents at Tuscan Gardens deserve to be loved and pets and/or pet therapy provide that extra support which is so beneficial to their well-being. Tuscan Gardens is committed to giving our residents every opportunity for engaged living. We believe that living well includes surrounding oneself with those who matter most – including our pets! We want our residents to continue to experience the joy that their animal companions bring to their lives. From keeping us active to providing daily motivation, comfort, and emotional support, nothing compares to the unconditional love and companionship our pets can give. If you wish to bring your pet with you to your new home at Tuscan Gardens, we can help you prepare them for community life. We’ll guide you through our Pet Policy so you and your pet can get the most out of your signature experience at Tuscan Gardens. Pets allowed in our community include cats or dogs weighing less than 35 lbs., caged birds or fish in a 10-gallon tank or less. Residents are responsible for the care of their pets.